Welcome 1 and all to 1 of the best blogs youll ever see. You guys gotta try out this game it's quite good. 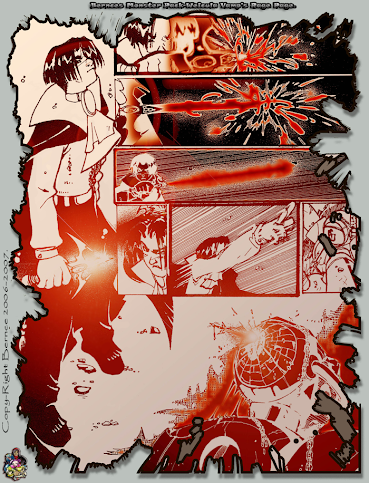 I had to show the respect for my webcomic so here's page 1.I swear I should have another update sometime this month. Well ive updated the kikashi's plain comic both on DrunkDuck & SmackJeeves so feel free to check em out. All this is video tutorial's made Mike Jensen andas the title say's it's stuff i'm trying to learn. You all can learn this stuff as well if your interested. Been working on banner's lately.Here's the other site banner im not using anymore for my KKP webcomic on: [link]. 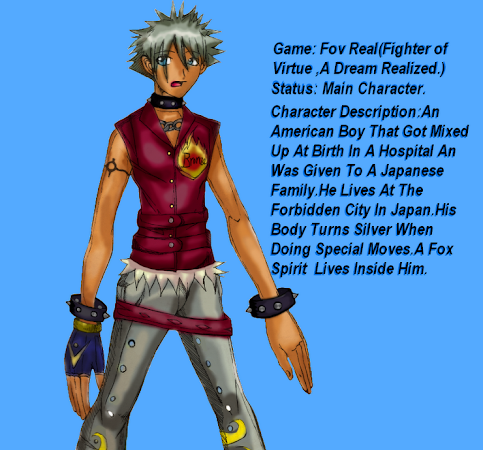 Fighter of virtue A.K.A FOV is the fighting game i am creating an as you could or may have guessed from the title name he is the main character. 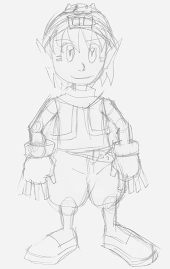 Well i was going to try to model this in 3d and thought since im not doing this at the moment that maybe i should put this on here.If you dont know who he is he the main character off of my webcomic soon to be a game,cartoon,comic.His nickname is just kk short for kikashi.He's a Catican which is half cat alien being.You can learn more about him at the webcomic heres the link : [link]. 1of the Bad Guy's goon's on Kikashi's Plain.There are thousand's of these that are at the control of Skil(the bad guy i was talking about who just happens to be the Grim Reaper) who will stop at nothing to destroy KK(Kikashi). 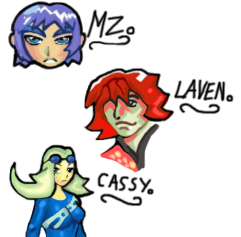 Here's some characters for a game im creating. This is a pic of 1 of the ships on a game us and our friend are making. This is the other ship for the Dog-Fight game.Here's my friends webpage link : [link]. This is a damn cool game I like alot.Similar to one of my favorite games CaveStory. The Underside: Facelift Video from Mr. Podunkian on Vimeo. 2D animation making a comeback in the 3D world. Here's a video for a thing that inspires me so much. A Picture I converted into word art useing a program created by my gamemaking software GameMaker.Click the image to do something like this as well! Try this out you guys.It's a quicker way to check you devianart contact's pictures.you can choose how much images to view out of a 100.Just log into your account on it the same way you normally do [link].When in your account just click the numbers under the image & author name.Have fun with it. Sites That Are Fun An Enjoyable! Well im a twin.Both of us draw and plan to make a company after we go to college. My New Youtube Music Playlist.